As the sunny month is coming to a close, we are going to review our favourite tutorials from August to inspire your September crafting! 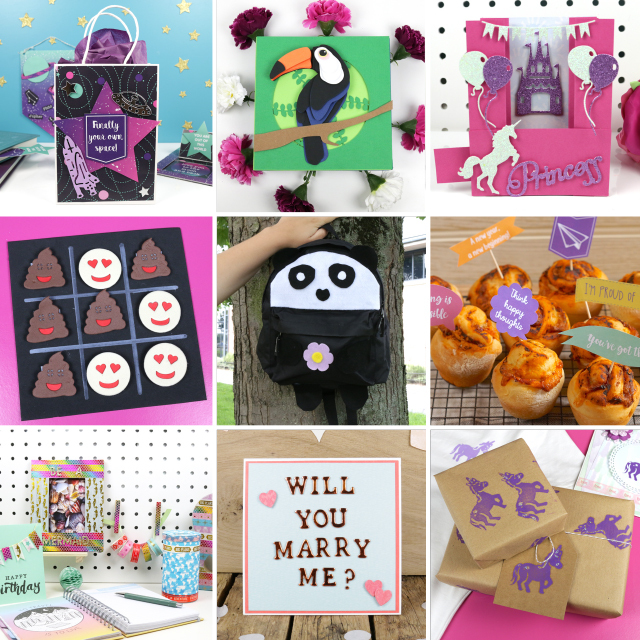 Read through to find a few hidden freebies to make your crafternoons even more enjoyable! We always like to kick-start a new month with a free paper download! Constellations are super on-trend at the moment so Cat designed 6 paper designs to help you make a craft out of this world. Toucans are perfect for introducing a tropical feel into your home so Angel took you step by step to show you how to use our decoupage template to create this 3D spectacle! If you want to make a birthday card your loved ones will treasure, Maxine has shown you how to create a hidden message design that will be a joy for them to reveal. Whether you want to keep the kids busy on a long car journey or want to entertain them on a rainy day, Kathy showed you how to create your own emoticon noughts and crosses game! So easy to make and so much fun. As the kids get ready to fill their noggin with new facts and numbers at school, we have the perfect tutorial to get them in the Back to School spirit! Maxine showed us how to transform a plain back pack into an adorable panda or silly monster with just a few pieces of felt. We had our baking feature with the wonderful Elle and for August, she created a scrumptious back to school recipe. To work alongside her heavenly pizza rolls, we created a motivation topper sheet to inspire the kids! We are absolutely head over heels for the Dovecraft Washi Tapes so Maxine showed you various ways of getting your craft on with these pretty designs. From card making to upcycling, these Washi Tapes will be a dream to work with. Know someone who is engaged? Help them remember their special day with Maxine’s twist and pop scrapbook layout! The perfect design to keep that happy day alive! To make the new Dovecraft dies even more exciting to craft with, we showed you how to turn these die cuts into fantastic foam stamps that you can use on gift wrap, clothing and so much more.